Why should banks and insurance companies care about Blockchain? - Why is Blockchain a foundational innovation along 3 dimensions: complexity, novelty and computing power. 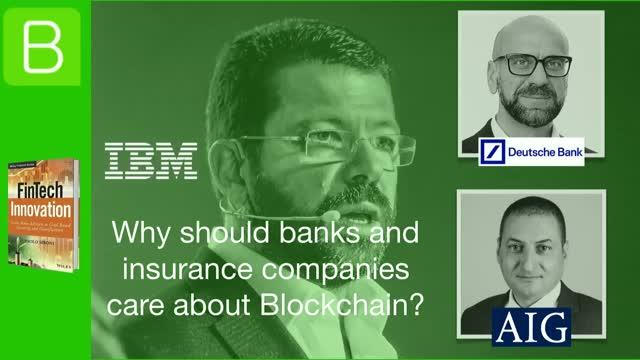 - Why should banks and insurance companies care about Blockchain? - What are the major hurdles to overcome to make Blockchain truly transformational? - What are the consequences of Blockchain for payments and Digital Currencies? - What is Deutsche Bank working on with the Trade & Finance consortium? - What is AIG working on with Standard Chartered? - What benefits and impacts will Blockchain deliver in the near term? Title: Why should banks and insurance companies care about Blockchain?